The idea of an unconditional basic income has three historical roots. The idea of a minimum income first appeared at the beginning of the 16th century. The idea of an unconditional one-off grant first appeared at the end of the 18th century. And the two were combined for the first time to form the idea of an unconditional basic income near the middle of the 19th century. Raphael’s cure for theft – The idea of a minimum income guaranteed by the government to all the members of a particular community is far older than the more specific and radical idea of an unconditional basic income. With the advent of the Renaissance, the task of looking after the welfare of poor people ceased to be regarded as the exclusive preserve of the Church and of charitable individuals. Some of the so-called humanists started playing with the idea of a minimum income in the form of public assistance. 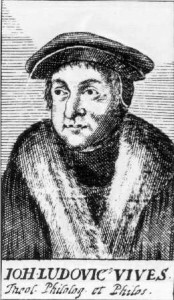 In Thomas More’s (1478-1535) Utopia, published in Louvain in 1516, the Portuguese traveller Raphael Nonsenso, walking on the central square of the City of Antwerp, narrates a conversation he says he had with John Morton, the Archbishop of Canterbury. Such a scheme, he argued, would be a more astute way of fighting theft than sentencing thieves to death, which had the unpleasant side effect of increasing the murder rate. 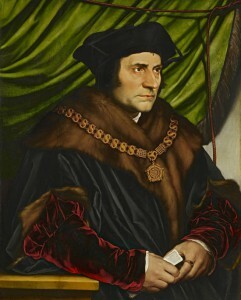 It is, however, Thomas More’s close friend and fellow humanist, Johannes Ludovicus Vives (1492-1540), who should be regarded as the true father of the idea of a guaranteed minimum income, as he was the first to work out a detailed scheme and develop a comprehensive argument for it, based both on theological and pragmatic considerations. Juan Luis Vives was born in Valencia in a family of converted Jews. He left Spain in 1509 to escape the Inquisition, studied at the Sorbonne but soon got fed up by the conservative scholastic philosophy that was prevailing in Paris at the time and moved on to Bruges in 1512, and in 1517 to Louvain, one of the main centres of the humanist movement, where he was appointed professor in 1520. He taught more briefly at Corpus Christi College, Oxford, but spent most of his adult life in the city of Bruges, where his statue can still be seen on the bank of one of the main canals. In a memoir addressed to the Mayor of Bruges in 1526 under the title De Subventione Pauperum (On the Assistance to the Poor), he proposed that the municipal government should be given the responsibility of securing a subsistence minimum to all its residents, not on grounds of justice but for the sake of a more effective exercise of morally required charity. The assistance scheme would be closely targeted to the poor. Indeed it is because of their ability to target them more efficiently that public officials should be put in charge of poor relief. To be entitled to the latter, a poor person’s poverty must not be undeserved, but he must deserve the help he gets by proving his willingness to work. At two junctures, Vives anticipates some insights that will drive later thinkers in the direction of a basic income. “All these things God created, He put them in our large home, the world, without surrounding them with walls and gates, so that they would be common to all His children.” Hence, unless he helps those in need, whoever has appropriated some of the gifts of nature” is only a thief condemned by natural law, because he occupies and keeps what nature has not created exclusively for himself”. Further, Vives insists that relief should come “before need induces some mad or wicked action, before the face of the needy blushes from shame… The benefaction that precedes the hard and thankless necessity of asking is more pleasant and more worthy of thanks”. But he explicitly discards the more radical conclusion that it would be even better if “the gift were made before the need arose”, which is exactly what an adequate basic income would achieve. He is also still remembered in his Alma Mater, the University of Louvain: A stone from his house has been incorporated in the wall of the “Universitaire Halle”, which houses the rectorate in the old town of Leuven. And the meeting room of the Chaire Hoover in the new town of Louvain-la-Neuve, where the Collectif Charles Fourier met in 1984-86 to discuss basic income and organise the founding meeting of the Basic Income European Network, has been named “Salle Vives”. Vives’ s tract is the first systematic expression of a long tradition of social thinking and institutional reform focused on the public exercise of compassion through government-organised means-tested schemes directed at the poor. Despite the difficulties and doubts aroused by the operation of the poor laws, the thinkers of the nouveau régime made public assistance an essential function of the government. Thus, Montesquieu (L’Esprit des Lois (1748), section XXIII/29, Paris: Flammarion, Vol.2, p. 134): “The State owes all its citizens a secure subsistence, food, suitable clothes and a way of life that does not damage their health”. This line of thought eventually led to the setting up of comprehensive, nationally-funded guaranteed minimum income schemes in a growing number of countries, most recently, France’s RMI (1988) and Portugal’s RMG (1997). However, towards the end of the 18th century, a different idea emerged that was to play an even greater role in the alleviation of poverty throughout Europe. The first known person to have sketched the idea is the first-rate mathematician and political activist, Antoine Caritat, Marquis de Condorcet (1743-1794). After having played a prominent role in the French revolution, both as a journalist and as a member of the Convention, Condorcet was imprisoned and sentenced to death. While in prison, he wrote his most systematic work, the Esquisse d’un tableau historique des progrès de l’esprit humain (published posthumously by his widow in 1795), whose last chapter contains a brief sketch of what a social insurance might look like and how it could reduce inequality, insecurity and poverty. This distinct idea, which will end up inspiring, one century later, the birth and development of Europe’s massive social insurance systems, starting with Otto von Bismarck’s old age pension and health insurance schemes for the labour force of unified Germany (from 1883 onwards). Though not targeted to the poor and involving massive transfers to the non-poor, these systems soon started having a huge impact on poverty as their development quickly dwarfed public assistance schemes and relegated them to a subsidiary role. In one way, social insurance brought us closer to basic income than public assistance, as the social benefits it distributed were not prompted by compassion, but by an entitlement, based in this case on the premiums paid into the insurance system. But in another way, it took us away from basic income, precisely because entitlement to the benefits is now based on having paid (or having had one’s employer paying) enough contributions in the past, typically in the form of some percentage of one’s wage. For this reason, unlike the most comprehensive versions of public assistance, even the most comprehensive forms of social insurance cannot provide a guaranteed minimum income. 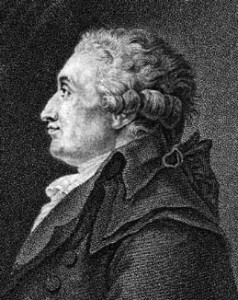 However, it is the very same Marquis de Condorcet who was the first to briefly mention, in the context of his discussion of social insurance, the idea of a benefit restricted neither to the poor (deserving of our compassion) nor to the insured (entitled to compensation if the risk materialises), namely the idea of “giving to those children who become old enough to work by themselves and found a new family the advantage of a capital required by the development of their activity.” Condorcet himself is not known to have said or written anything else on the subject, but his close friend and fellow member of the Convention Thomas Paine (1737-1809) developed the idea in far greater detail, two years after Condorcet’s death, in a memoir addressed to the Directoire, the five-member executive that ruled France during most of the period separating the beheading of Robespierre and the rise of Napoleon. This idea of an equal basic endowment given to all as they reach adulthood, has reappeared now and then, for example in the writings of the French political philosopher François Huet. In his attempt to combine liberalism and socialism, he proposed that young people should all be given an endowment financed out of the taxation of the whole of that part of land and other property which the bequeather has himself received (see esp. Le Règne social du christianisme, Paris: Firmin Didot & Bruxelles: Decq,1853, pp. 262, 271-3). 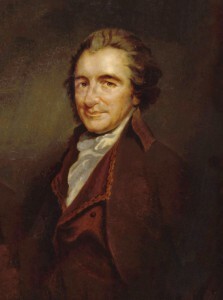 What equal ownership of the earth justifies, in Paine’s view, is an unconditional endowment for all, not a guaranteed income. A number of 19th century reformers, such as William Cobbett (1827), Samuel Read (1829) and Poulet Scrope (1833) in England (see Horne, Thomas A. “Welfare rights as property rights”, in Responsibility, Rights and Welfare. The theory of the welfare state, Boulder & London: Westview Press, 1988, 107-132, for a useful survey), have rather interpreted it so as to give guaranteed income schemes a firmer basis than public charity. Most famous among them is the eccentric and prolific French writer Charles Fourier (1836: 490-2), one of the radical visionaries Marx contemptuously labelled “utopian socialists”. In La Fausse Industrie (1836), Fourier argues that the violation of each person’s fundamental natural right to hunt, fish, pick fruit and let her/his cattle graze on the commons implies that “civilization” owes subsistence to everyone unable to meet her/his needs, in the form of a sixth class hotel room and three modest meals a day. 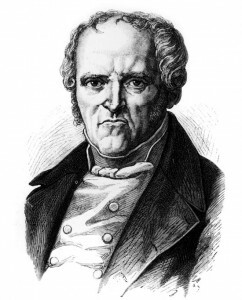 Fourier, however, is as clear about the non-universality of the delivery of this income in kind (only a minority would be accommodated in those sixth class hotels) as he is about the absence of a work test: it is an unconditional entitlement for the poor by way of compensation for the loss of direct access to natural resources. His disciple and leader of the Fourierist school, Victor Considérant (Exposition abrégée du système Phalanstérien de Fourier, Paris, 1845) makes a step in the direction of a genuine basic income when emphasizing that, when work will have been made attractive thanks to the Phalansterian system, “one will be able to forward a minimum income to the poor members of the community with the certainty that they will have earned more than the expenditure by the end of the year”. But despite the nature of the underlying justification, poor relief is still not being turned into a universal income. The 20th century saw three periods when discussion about basic income was particularly intense. Firstly, under names like “social dividend”, “state bonus” and “national dividend” proposals for a genuinely unconditional and universal basic income were developed in inter-war debates in England. Secondly, after some years of silence this type of ideas was rediscovered and gained considerable popularity in debates about “demogrants” and “negative income tax” schemes during the 1960s and 70s in the United States. Thirdly, a new period of debate and exploration emerged as basic income proposals were actively discussed in several countries in North-Western Europe from the late 70s and early 80s. Quite independently, this century also saw the introduction of the world’s first, full-blown basic income scheme through the birth of the Alaska Permanent Fund, providing annual dividends to all the inhabitants of Alaska. Things start waking up in Britain in 1918, towards the end of the First World War. 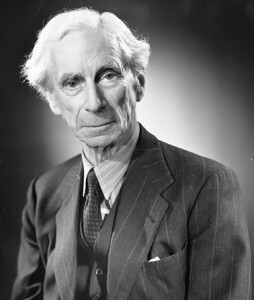 In Roads to Freedom, a short and incisive book first published in 1918, the mathematician, philosopher, non-conformist political thinker, militant pacifist and Nobel laureate in literature Bertrand Russell (1872-1970) argues for a social model that combines the advantages of socialism and anarchism. One central component of it is a UBI “sufficient for necessaries”. In the same year, the young engineer, Quaker and Labour Party member, Dennis Milner (1892-1956), published jointly with his wife Mabel a short pamphlet entitled “Scheme for a State Bonus” (1918). What they argued for, using an eclectic series of arguments, was the introduction of an income paid unconditionally on a weekly basis to all citizens of the United Kingdom. Pitched at 20% of GDP per capita, the “State bonus” should make it possible to solve the problem of poverty, particularly acute in the aftermath of the war. As everyone has a moral right to means of subsistence, any obligation to work enforced through the threat of a withdrawal of these means is ruled out. Milner subsequently elaborated the proposal in a book published by a respectable publisher under the title Higher Production by a Bonus on National Output. Many of the arguments that played a central role in later discussions can be found in this book — from the unemployment trap to labour market flexibility, from low rates of take up to the ideal complement of profit sharing, but the emphasis is on the “productivist” case: the state bonus can even be vindicated on grounds of efficiency alone. Milner’s proposal was enthusiastically backed by fellow Quaker Bertram Pickard, supported by the short-lived State Bonus League — under whose banner Milner took part in a national election —, discussed at the 1920 British Labour Party conference and definitively rejected the following year [Note 12]. It did not take long, however, for another English engineer, Clifford H (“Major”) Douglas (1879-1952), to take up the idea again with significantly greater impact. Douglas was struck by how productive British industry had become after World War I and began to wonder about the risks of overproduction. How could a population impoverished by four years of war consume the goods available in abundance, when banks were reticent to give them credit and their purchasing power was rising only very slowly? To solve this problem, Douglas (1924) proposed in a series of lectures and writings, often quite confused, the introduction of “social credit” mechanisms, one of which consisted in paying all households a monthly “national dividend”. The social credit movement enjoyed varying fortunes. It failed to establish itself in the United Kingdom but attracted many supporters in Canada, where a Social Credit Party governed the province of Alberta from 1935 to 1971, although it rapidly dropped the idea of introducing a national dividend. While the popularity of the Social Credit movement was first swelling and next shrinking in broad layers of the British population, the idea of the UBI was gaining ground in a small circle of intellectuals close to the British Labour Party. Prominent among them was the economist George D.H. Cole (1889-1959), the first holder of Oxford’s Chichele Chair of Social and Political Theory (later held by Isaiah Berlin, Charles Taylor and G.A. Cohen). In several books, he resolutely defended what he was the first to call a “social dividend” (Cole, 1935). 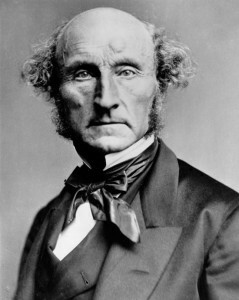 “Current productive power is, in effect, a joint result of current effort and of the social heritage of inventiveness and skill incorporated in the stage of advancement and education reached in the arts of production; and it has always appeared to me only right that all the citizens should share in the yield of this common heritage, and that only the balance of the product after this allocation should be distributed in the form of rewards for, and incentives to, current service in production.” (Cole 1944: 144) In his presentation of J.S. Mill in History of Socialist Thought (1953), Cole also seems to have been the first to refer to the idea of a UBI by using the English expression “basic income”, which quickly spread as the discussion became international in the 1980s [Note 3]. Politically less active, but with a far wider international reputation than Cole, another Oxford economist, the Nobel Laureate James Meade (1907-1995), defended the “social dividend” with even greater tenacity. The idea of a social dividend is present in his Outline of an Economic Policy for a Labor Government (1935) and in several other early writings (Meade 1937, 1938) as a central ingredient of a just and efficient economy. And it was to become a crucial component of the Agathatopia project, to which he devoted his last writings (1989, 1993, 1995): partnerships between capital and labor and a social dividend funded by public assets are there offered together as a solution to the problems of unemployment and poverty. Around the same time and place as the notion of “social dividend” appeared in the writings of James Meade, it also surfaced in a famous discussion on market socialism by two professors at the London School of Economics Oskar Lange (1904-1965) and Abba Lerner (1903-1982): in reply to a remark by Lerner (1936), Lange (1937) made clear the expression “social dividend”, which he used to refer to the return on collectively owned capital, had to be understood as contribution-independent. It is on the background of this inter-war discussion that the liberal peer Juliet Rhys-Williams (1943) proposed a “new social contract”, whose central element consisted in a basic income. Universal, but not quite unconditional, as it made availability for work a necessary counterpart for the uniform grant. Payment of the grant is suspended during strikes, for example. However, it was the alternative proposal for a national minimum income (tied to a broader program of unified national child benefit and social insurance) made in 1942 by another liberal peer, William Beveridge, director of the London School of Economics, that prevailed in Britain — and soon started spreading elsewhere in Europe —, thus relegating UBI-type proposals to the fringe of the UK’s policy-relevant debate. Three American approaches to the guaranteed minimum – It is in the turbulent America of the 1960s, at the peak of the civic rights movement, that a real debate on universal basic income resurfaced, with three main sources of inspiration. Firstly, Robert Theobald (1929-1999) and his Ad Hoc Committee on the Triple Revolution (1964) defended in various publications a vaguely specified guaranteed minimum income on grounds reminiscent of Douglas, such as the belief that “automation is rendering work for pay obsolete, and that government handouts are the only way to give the public the means to buy the immense bounty produced by automatons”. Secondly, in his popular Capitalism and Freedom (1962), the American economist and Nobel Laureate Milton Friedman (1912-2006) proposed a radical simplification of the American Welfare State through the introduction of what he there called a “negative income tax”. Friedman’s proposal of a linear negative income tax would fully integrate the income tax and transfer systems. It was offered as a simple and radical alternative to the patchwork of existing social welfare schemes. And it was itself meant as a transitional stage on the way to an ideal, transfer-free capitalist society (For Friedman’s own account of where he got the idea from and relevant references, see the Suplicy-Friedman exchange in BIEN NewsFlash 3, May 2000). Finally, and most importantly, James Tobin (1918-2002), John Kenneth Galbraith (1908-2006) and other liberal economists started defending in a series of articles the idea of a guaranteed minimum income more general, more generous and less dependency-creating than the existing assistance programs. In this lively and promising context, a petition was organized in the Spring of 1968 calling for the US Congress “to adopt this year a system of income guarantees and supplements”. It was supported by James Tobin, Paul Samuelson, John Kenneth Galbraith, Robert Lampman, Harold Watts and over one thousand more economists, though not by Milton Friedman. In a context in which dependence on the existing means-tested welfare system was increasing dramatically, this petition contributed to creating a climate in which the administration felt it had to move ahead. This led to the Family Assistance Plan (FAP), an ambitious social welfare program prepared by the democrat senator Daniel Patrick Moynihan (1927-2003) on behalf of Republican President Richard Nixon’s administration. The FAP provided for the abolition of the aid program targeting poor families (AFDC) and incorporated a guaranteed income with financial supplements for workers which came close to a negative income tax scheme. It was publicly presented by President Nixon in August 1969, adopted in April 1970 by a large majority in the US House of Representatives, rejected by the relevant Commission of the US Senate in November 1970, and definitively rejected in 1972, despite several amendments meant to assuage the opposition, owing to a coalition between those who found it too timid and those who found it too bold. A more ambitious “demogrant” plan was included on James Tobin’s advice in democrat George McGovern’s platform for the 1972 presidential election, but dropped in August 1972. Combined with McGovern’s defeat by Nixon in November 1972, the beginning of the Watergate affair in March 1973 and Nixon’s resignation in November 1974, the defeat of the FAP in the Senate marked the end of the short but strong appearance of UBI-type ideas in the US debate. The discussion continued however in a more academic vein, on the basis of five large-scale experiments with negative income tax schemes (four in the USA and one in Canada) and controversies over the results. Towards the end of the 1970s, while the demogrant debate was virtually forgotten in the United States, a debate on a UBI started up from scratch in a number of European countries, in near total ignorance of previous discussions, whether in Europe or in America. Thus, in Denmark, three academics defended a UBI proposal by the name of “citizen’s wage” in a national best-seller later translated into English under the title Revolt from the Center (Meyer et al, 1978). But it is above all in the Netherlands that the new European discussion on UBI took off. The first voice to be heard in this discussion was that of J.P. Kuiper, a professor of social medicine at the Free University of Amsterdam. Struck by how sick some people were able to make themselves by working too much while others were making themselves sick because they could not find work, he recommended uncoupling employment and income as a way of countering the de-humanizing nature of paid employment: only a decent “guaranteed income”, as a called it, would enable people to develop independently and autonomously (Kuiper, 1976). In 1977, the small radical party (Politieke Partij Radicalen), grown out of the left of the Dutch Christian-democratic party, became the first European political party with parliamentary representation to officially include a UBI (basisinkomen) in its electoral program. The movement grew quite rapidly, thanks to the involvement of the food sector trade union Voedingsbond, a component of the main Trade Union Confederation FNV. With its exceptionally high proportion of women and part-time workers among its members, the Voedingsbond played a major role in the Dutch debate throughout the 1980s. It initiated a series of publications and actions defending a UBI combined with a drastic reduction in working time and hosted the Dutch UBI association on its premises. In 1985, the Dutch discussion reached a first climax when the prestigious Scientific Council for Government Policy created a sensation by publishing a report in which it recommended unambiguously the introduction of a so-called “partial basic income”. Such a partial basic income is a genuine UBI, but at a level insufficient to cover the needs of a single person and hence not meant to replace the existing conditional minimum income system. Around the same time, the debate began to take shape in other countries too, albeit more discretely. In 1984, a group of academics and activists gathered around Bill Jordan and Hermione Parker under the auspices of the National Council for Voluntary Organizations formed the Basic Income Research Group (BIRG) – which was to become in 1998 the Citizen’s Income Trust. Despite the consistent support of independent minds such as the assistant editor of the Financial Times Samuel Brittan and the sympathy shown for the idea by liberal-democrat party, the UBI did not manage to reach mainstream politics — except in the very attenuated form of a baby bond — in Blair’s New Labour era any more than under Thatcher’s neo-liberalism. In Germany, Thomas Schmid, an eco-libertarian from Berlin, got the discussion going with his Liberation from False Labor (Schmid ed. 1984). Several collective volumes emanating from the green movement pursued and developed this first initiative (Opielka & Vobruba 1986; Opielka & Ostner 1987). At the same time, Joachim Mitschke (1985), professor of public finance at the University of Frankfurt, began a long campaign in favor of a citizen’s income (Bürgergeld) administered in the form of a negative income tax. However, the fall of the Berlin wall (1989) and the consequent reunification of Germany (October 1990) stopped this incipient public discussion for many years, despite the support it enjoyed from reputed academics like Claus Offe (1992, 1996), close to the greens, and to a lesser extent Fritz Scharpf (1993), close to the social democrats. It is only around 2005, after reunification was more or less digested, that a surprising convergence generated a rich national debate. In France, the debate got off the ground more slowly. The influential left-wing sociologist and philosopher André Gorz (1923-2007) initially defended a life-long basic income coupled to a universal social service of 20,000 hours (Gorz 1985). However, his fear of social life getting entirely colonized by paid employment drove him towards the defence of an unconditional income (Gorz 1997). In a very different vein, Yoland Bresson (1984, 1994, 2000), self-described as a “left Gaullist” economist, offered a convoluted argument for a universal ”existence income” supposed to be pitched at a level objectively determined by the “value of time”. Alain Caillé (1987, 1994, 1996), leader of the “Movement against Utilitarianism in the Social Sciences” (or MAUSS) advocated an unconditional income as the expression of society’s fundamental trust in those excluded from the labor market and in their ability and willingness to invest in activities of collective interest. And Jean-Marc Ferry (1995, 2000), a political philosopher in the Habermas tradition, developed a plea for a UBI as a right of citizenship at the level of the European Union, in a context in which he reckons full employment, conventionally understood, is forever out of reach and in which a “quaternary” sector of socially useful activities needs to be developed. The founding meeting of BIEN in Louvain-la-Neuve (Belgium), 1986. From left to right on stage: Riccardo Petrella, Greetje Lubbi, Anne Miller, Nic Douben, Philippe Van Parijs, Claus Offe, Bill Jordan. These modest national debates emerged independently from one another and the intellectual contributions that fed them were unaware of most of the history of the idea, if not the whole of it. However, they gradually came into contact with one another thanks to the creation of BIEN. In March 1984, a group of researchers and trade unionists close to the University of Louvain (Belgium) published a provocative UBI scenario under the collective pseudonym “Collectif Charles Fourier”. The scenario was entered in a competition on the future of work earning the Collectif a prize with which it organized in Louvain-la-Neuve (Belgium) in September 1986 the very first meeting gathering UBI supporters from several countries. Pleasantly surprised to discover how many people were interested in an idea they thought they were almost alone in defending, the participants decided to set up the Basic Income European Network (BIEN), which published a regular newsletter and organized conferences every two years. The birth of similar networks in the United States, South America and South Africa, the intensification of contacts with pre-existing networks in Australia and New Zealand, and the presence of an increasing number of non-Europeans at the BIEN conferences, led BIEN to re-interpret its acronym as the Basic Income Earth Network at its 10th congress, held in Barcelona in September 2004. The first congress outside Europe of the newly created worldwide network was held at the University of Cape Town (South Africa) in October 2006. The introduction and development of the only genuine universal basic income system in existence to this day took place many leagues from these debates. In the mid 1970s, Jay Hammond, the Republican governor of the state of Alaska (United States) was concerned that the huge wealth generated by oil mining in Prudhoe Bay, the largest oilfield in North America, would only benefit the current population of the state. He suggested setting up a fund to ensure that this wealth would be preserved, through investment of part of the revenue from oil. In 1976, the Alaska Permanent Fund was created by an amendment to the State Constitution. In order to get the Alaskan population interested in its growth and continuity, Governor Hammond conceived of the annual payment of a dividend to all residents, in proportion to their number of years of residence. Brought before the United States Supreme Court on grounds of discrimination against immigrants from other states, the proposal was declared in contradiction with the “equal protection clause”, the fourteenth amendment of the Federal Constitution. The proposal was modified in order to overcome this objection, and transformed into a genuine universal basic income. Since implementation of the program in 1982, everyone who has been officially resident in Alaska for at least six months – currently around 650,000 people – has received a uniform dividend every year, whatever their age and number of years of residence in the State. This dividend corresponds to part of the average interest earned, over the previous five years, on the permanent fund set up using the revenue from oil mining. The fund was initially invested exclusively in the State economy, but later became an international portfolio, thus enabling the distribution of the dividend to cushion fluctuations in the local economic situation instead of amplifying them (Goldsmith, 2004). The dividend stood at around $300 per person per annum in the early years but was close to reaching $2000 in 2000, when the stock market plummeted and cut the dividend in half in the course of a few years. In 2008, however, the size of the annual dividends reached a new all-time high with payments of $2069 per person. Alaska’s oil dividend scheme has repeatedly been proposed for other parts of the world, but still remains unique — and helps make Alaska the most egalitarian among US states. “The history of basic income” is based on chapter 1 of L’allocation universelle by Yannick Vanderborght and Philippe Van Parijs (expanded English version in progress, to be published by Harvard University Press). The web version has been edited and abridged by Simon Birnbaum and Karl Widerquist. For the full list of references, see Vanderborght, Yannick & Van Parijs Philippe (2005), L’allocation universelle, Paris: La Découverte. For the latest news and publications about basic income, click here. 1. Thomas More, Utopia (1st Latin edition, Louvain, 1516), English translation by Paul Turner, Harmondsworth: Penguin Classics, 1963, p. 43-44. 2. Juan Luis Vives, De Subventione Pauperum, Sive de humanis necessitatibus, 1526; Dutch translation on behalf of the Magistrates of Ypres: Secours van den Aermen, Antwerp, 1533, reprinted by Valero & Fils, Brussels, 1943, 114p. ; French translation by Ricardo Aznar Casanova: De l’Assistance aux pauvres, Brussels: Valero et Fils, 1943, 290p; English translation of part II only by Alice Tobriner: On the Assistance to the Poor. Toronto & London: University of Toronto Press (“Renaissance Society of America Reprints”), 1998, 62p. 3. Vives’s impact on social policy thinking has been emphatically recognised in Spain, for example, through the creation (in 1987) of the Fundacion Luis Vives, a foundation supporting Spanish NGO’s in the area of social policy with seats in Madrid and Brussels (http://fundacionluisvives.recol.es/quienes.asp), or through the creation (in 1998) of the Instituto de Seguridad Social Juan Luis Vives, a research institute on the welfare state at Madrid’s Universidad Carlos III (http://www.uc3m.es/uc3m/inst/IUSS/dpiuss.html). 4. Condorcet, Esquisse d\’un tableau historique des progres de l’esprit humain (1st edition, 1795), Paris: GF-Flammarion, 1988, p. 273-274. 5. Thomas Paine 1796, p. 611; 612-613. 6. For discussions of basic endowment proposals in connection with basic income, see The Ethics of Stakeholding, Keith Dowding, Jurgen De Wispelaere, and Stuart White eds., Basingstoke: Palgrave/Macmillan, 2003; and “Rethinking Distribution”, Erik O. Wright ed., special issue of Politics and Society, 2003. 7. Charles Fourier, La Fausse industrie (1836), Paris: Anthropos, 1967, p. 491-492. 8. Victor Considrant, Exposition abrege du systeme Phalansterien de Fourier, Paris, 1845, section “Plus de paresse – extinction de la misere et de la mendicite – armees industrielles”, p. 49. 9. For more details, see Cunliffe, John & Erreygers, Guido, “The Enigmatic Legacy of Charles Fourier: Joseph Charlier and Basic Income”, History of Political Economy 33(3), Fall 2001, 459-484. Note that this idea of equal ownership of the value of natural resources justifying a universal basic income is not restricted to the Fourierist tradition. It later appears, for example, in the early Herbert Spencer’s (Social Statics, London: J. Chapman, 1851) writings on land reform, in Henry George’s (Progress and Poverty (1879) London: The Hogarth Press, 1953) advocacy of a “single tax”, in the normative writings of Leon Walras (Etudes d’economie Sociale (1896), Lausanne: Rouge; Paris: Pichon & Durand-Auzias, 1936. 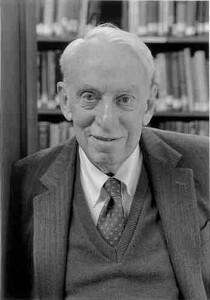 ), one of the founding fathers of mathematical economics, and, most rigorously, in the writings of the Canadian left-libertarian political philosopher Hillel Steiner (An Essay on Rights, Oxford: Blackwell, 1994). 10. J.S. Mill, Principles of Political Economy, 2nd ed. 1849, New York: Augustus Kelley, 1987, pp. 212-214, Book II, chapter 1. 11. Bertrand Russell, Roads to Freedom. Socialism, Anarchism and Syndicalism, London: Unwin Books (1918), pp. 80-81 and 127. 12. On the Milners, Bertram Pickard, Major Douglas, James Meade, G.D.H. Cole and other aspects of this first public emergence of the UBI proposal, see Van Trier (1995). 13. The term basic income appears in the following context: “Mill did, however, regard as much nearer practicability those forms of socialism which, at a sacrifice of idealism, accepted a moderate degree of economic inequality. On this score he praised the Fourieristes, or rather that form of Fourierism which assigned in the first place a basic income to all and then distributed the balance of the product in shares to capital, talent or responsibility, and work actually done.” (p. 310). The Dutch equivalent (basisinkomen) had already been used in 1934 by Nobel laureate Jan Tinbergen, in the context of discussions about the program of the Labour Party (PvdA) in his own country, the Netherlands.